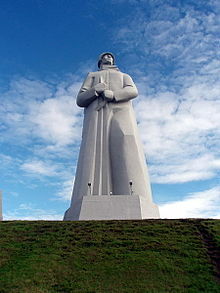 This summer I am traveling with a friend by car to Murmansk, and we are both very interested in military history. Wikipedia have a list Closed cities in Murmansk Oblast, of which most are related to the northern fleet naval bases. So to my question; is there any formally closed cities you are now allowed to visit? Also as a side note, will our interest in everything military be treated with suspicion by locals and/or officials? As far as I can say, there is nothing changed for this time, and all the closed cities are closed for all but registered locals and ones with special access, which is very difficult to get. All that changed is Roslyakovo moved from Severomorsk to Murmansk, but, as for me, there is no interesting stuff there. or some other not so big momuments. 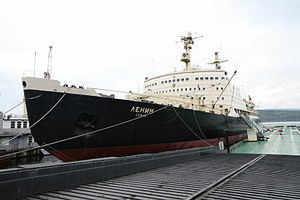 If you are interested, you can visit the nuclear icebreaker Lenin, which is a museum right now (link is in Russian). The prices are: children - ₽50, adult - ₽100, foreigners - ₽150. You can enter the ship at Wednesday, Thursday, Friday – 12:00. Saturday, Sunday – 12:00, 13:00, 14:00, 15:00. Non-military interesting option is a Murmansk Oceanarium (link in Russian). Another option for you to visit closed regions (according this forum thread - in Russian) is to contact the museums of Severomorsk or Polyarny with a request for a group touristic visit. They can do a pass for all the members of groups, and, as I can say, can do that even for foreigners, but this requests clearly will better fit with some locals help. May be a touristic agency can help you with that. Both museums have some touristic routes during which you wouldn't be a point of suspicion from locals and/or police, as you'll be a clearly tourists. If you decide do make some excursions by yourself, I suggest you follow the comments from @MarkMayo and @GayotFow, especially during current difficult politic situation. Most people are watching the official TV-news, which can lead to some problems if you wouldn't be cautious during your trip. Not the answer you're looking for? Browse other questions tagged russia officials military murmansk or ask your own question.